MP for Vancouver-Quadra, Murray was appointed to the role earlier this month after former minister Jane Philpott quit the Trudeau cabinet over its handling of the SNC-Lavalin affair. The minister spoke briefly about measures in the federal budget for seniors and Indigenous youth before listening to feedback from elders. Health care and lack of housing dominated the discussion. For that reason, friendship centres provide essential services to Indigenous people who have gravitated to urban centres such as Port Alberni. “That’s our home away from home,” Samuel said. Murray said the government has committed to an Urban Aboriginal Strategy, which brings with it a new funding agreement for friendship centres. Funding has been increased by $5 billion, she noted. “The fact that it’s not getting to people here in Port Alberni is something we need to look at,” she said. The local friendship centre faces a shortfall of $30,000 in its budget this year due to a cut in federal funding. Cyndi Stevens, executive director of the centre, said they find there is too little money available to adequately assist seniors living off reserve. Vancouver Island Health Authority has told them it cannot provide funds for health services provided through the centre. “We’re not seeing any movement on that, it’s been going on for years,” Stevens said. Others complained of a health-care system that provides only 15-minute physician visits. That’s too little time to properly address their issues, said Wilma Dochstader, a retired nurse. Seniors often feel their views are ignored. Simply finding a family doctor is extremely difficult, another said. Affordable housing for seniors is limited in Port Alberni and what is available is unsafe, another elder said. They have intentionally decided against balanced budgets to invest in social priorities, she stressed. “We feel these critical services are more important,” added Murray. Murray cited a budget measure that increases earning exemptions by $6,000 for low-income seniors relying on the Guaranteed Income Supplement or Old Age Security. In addition, Budget 2019 includes increased funding for the New Horizons for Seniors Program to help seniors thrive and stay connected to their communities. The plan is to support projects such as providing fitness equipment for seniors’ centres, offering financial literacy classes and creating volunteer opportunities. 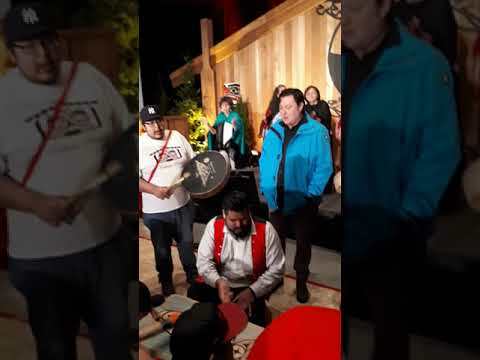 The MP’s 2019 budget tour included several Island communities. Controversy and uncertainty continue to dog the Liberal government over the SNC-Lavalin affair. “There’s no question it’s been a difficult few weeks for our government,” Murray said, adding that she remains focused on the budget. MLA Gord Johns, who accompanied Murray, said it’s advantageous for B.C. to have a ministerial presence at the cabinet table. He also mentioned the loss of $30,000 as a big hit for the friendship centre. “The barriers people are facing in this community are really second to none in B.C.,” Johns said. He suggested the cutback results from increased demand for funding other friendship centres across the country. At the same time, more Indigenous people are leaving their home communities for economic opportunity and services in Port Alberni. “The needs are growing,” Johns said.